The sister of a disabled woman who she believes was driven to kill herself by the anxiety caused by re-applying for the government’s new disability benefit has called for reform of the “barbaric” system. Diane Hullah, from east Kent, took her own life on 21 April, and her sister is convinced that she was overwhelmed by the pressure of being forced to reapply for personal independence payment (PIP). Helen Young believes the PIP system is a “national scandal” and told Disability News Service (DNS) that it was the anxiety caused by the PIP process and the 50-page application form she was confronted with – three years after applying for it successfully for the first time – that sent her sister “downhill”. She said the pressure led her sister to start self-harming again, and twice try unsuccessfully to kill herself before she eventually took her own life. And she said it had left her confined to her bed for days at a time, and too ill to look after herself. 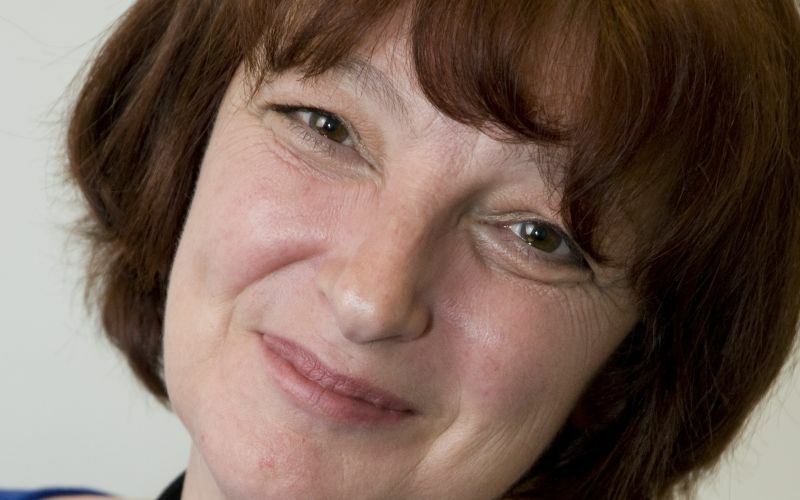 She said Diane (pictured) had told her that the Department for Work and Pensions was “going to try and catch me out”, and was convinced her claim would be rejected and she would be left without the support she needed. Helen said: “Somebody like my sister was incapable of doing it, given her mental health. “I feel very angry about it, I think it is completely barbaric, a national scandal. It is the second suicide of a Kent woman to be linked to PIP, following the death of Susan Roberts, from Tunbridge Wells, who killed herself last year, hours after being told she would not be entitled to PIP, despite previously claiming disability living allowance. Diane had applied for PIP for the first time in 2014, and had also successfully applied for employment and support allowance (ESA), the out-of-work disability benefit. But her sister said: “ESA was awful but PIP just seemed to take it to a new level. She said Diane had expected her new PIP claim to be turned down. Helen, who previously worked as a manager in the education sector, where she frequently had to submit funding bids, said it took her “three full days” to help her sister fill out her PIP form. She said: “I don’t understand why she had to do it at all, given that her illness was so well-documented by the medical authorities. “I just don’t understand why that has to be gone through. “One can only have quite a cynical view that they just hope that people can’t be bothered to do it, or don’t do it well enough and then have to go through another hoop of appealing. “It just feels like ‘they are trying to catch me out, they don’t believe I’m ill’. She had to keep proving her needs all the time. The irony, she said, was that her sister had in fact been found eligible for the enhanced rates of both the mobility and daily living components of PIP, but the decision letter only arrived after she died. Young now plans to ask all of the candidates standing in the general election in the South Thanet constituency what they will do about this “scandal” and how they will fight for better mental health services. Young first spoke out about her sister’s death in an interview filmed by the independent local media organisation Thanet Watch. She described in the interview how her sister was driven to repeatedly self-harm by the thought of having to reapply for PIP and knowing that “if she didn’t get it right, she said the wrong thing or didn’t phrase it properly or did something else wrong, that it would automatically get turned down”. Although she doesn’t blame local NHS staff, Young said she believed her sister had been let down by the overstretched mental health system, which was not equipped to cope with the level of local need. “There just simply aren’t enough resources for this area. This is such a Cinderella service. I don’t blame the workers. They are all over-run. Diane’s psychotherapist, who she saw privately at a reduced rate, and paid for with her PIP, has told DNS that she believes the suicide attempts were a “direct result” of “the stress caused by PIP”. She said Diane had been anxious “for a while” about the PIP application, although she had written a letter of support for her claim, and her sister had helped her fill in the form. And she said that although Diane had a long history of self-harm and suicide attempts, her mental health had improved in the year she had been seeing her, until she learned of the PIP reassessment. She said the suicide attempts were “direct results in my opinion of the stress caused by PIP”. She said Diane found the “unpredictability” of PIP “worrying”, and added: “Members of my team are good at obtaining the benefit for our clients but for someone without this support it is a long and complicated form. She also said that Diane had received “little support or input” from the local community mental health team, because of the levels of demand and possibly her age. Peter Dunger, service manager for East Kent Community Drug and Alcohol Service, also knew Diane well, following treatment she had received previously for an alcohol addiction. Although she was no longer in treatment, she would occasionally call him when she was struggling with her mental health, he said. He added: “I spoke to her on the phone once or twice and she was under enormous pressure. She was very, very worried, she was frightened. “She found these processes very difficult and she also found [PIP] quite threatening.